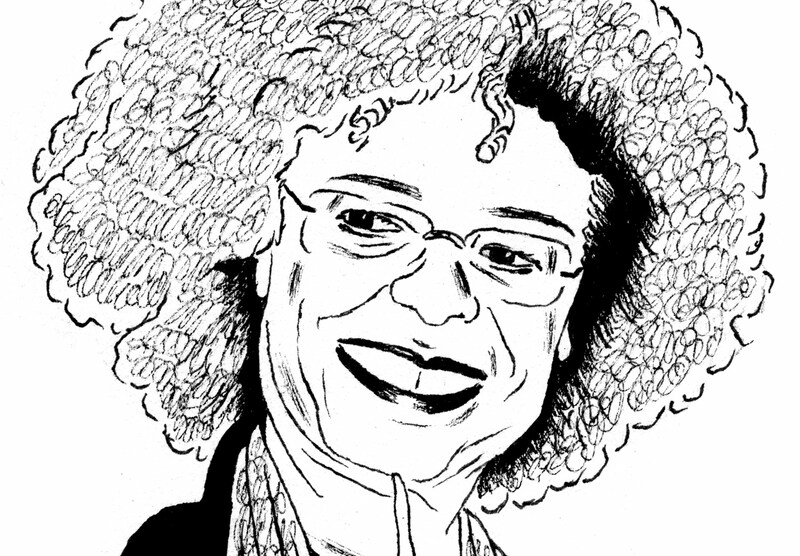 An icon of the Black Power movement, Angela Davis has led a life of resistance to injustice. This interview took place over several months and has been condensed. FB: What is the significance today of the Black Power movement? AD: I think of Black Power—or what we referred to at the time as the “black liberation movement”—as a particular moment in the quest for black freedom. In many ways, it was a response to what were perceived as the limitations of the civil-rights movement: we needed to claim not only legal rights, but also substantive rights—jobs, housing, healthcare, education, etc.—and to challenge the very structure of society. Such demands were summed up in the ten-point program of the Black Panther Party. Although black individuals have entered economic, social and political hierarchies, the overwhelming number of black people are subject to economic, educational and carceral racism to a far greater extent than during the pre-civil-rights era. In many ways, the demands of the BPP’s ten-point program are just as relevant—perhaps even more relevant—as during the 1960s. FB: How would you define black feminism and its role today? AD: Black feminism emerged as a theoretical and practical effort demonstrating that race, gender and class are inseparable in the social worlds we inhabit. At the time of its emergence, black women were frequently asked to choose whether the black movement or the women’s movement was most important. This was the wrong question. The more appropriate question was how to understand the intersections and interconnections between the two movements. We are still faced with the challenge of understanding the complex ways that race, class, gender, sexuality, nation and ability are intertwined—but also how we move beyond these categories to understand the interrelationships of ideas and processes that seem to be separate and unrelated. FB: What does the prison-industrial complex say about society? AD: The soaring number of people behind bars all over the world and the increasing profitability of holding them captive is one of the most dramatic examples of the destructive tendencies of global capitalism. The prison-industrial complex includes not only private and public prisons but also juvenile facilities, military prisons and interrogation centers. Moreover, the most profitable sector of the private-prison business is composed of immigrant detention centers. One can therefore understand why the most repressive anti-immigrant legislation in the United States was drafted by private-prison companies. FB: When was the last time you were in Palestine, and what were your impressions? AD: I traveled to Palestine in June 2011 with a delegation of indigenous women and women of color, feminist scholar/activists. Even though we had all been previously involved in Palestine solidarity activism, all of us were utterly shocked by what we saw, and we resolved to encourage our constituencies to join the boycott, divestment and sanctions movement and to help intensify the campaign for a free Palestine. FB: How would you respond if I said the struggle is endless? AD: I would say that as our struggles mature, they produce new ideas, new issues and new terrain on which we engage in the quest for freedom. Like Nelson Mandela, we must be willing to embrace the long walk toward freedom. Frank BaratFrank Barat (@frankbarat22) is an activist, journalist and author based in Brussels. He is the coordinator of the Russell Tribunal on Palestine and the Palestine Legal Action Network. His books with Noam Chomsky and Ilan Pappé, as well as one with Ken Loach, will be published in 2015 by Haymarket.